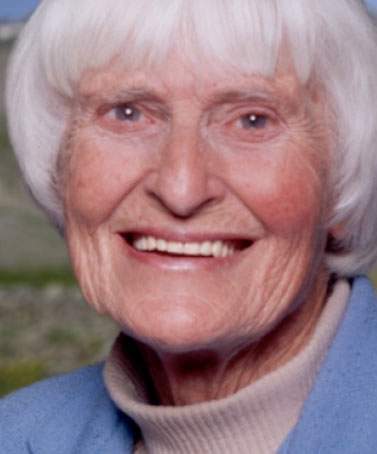 The Colorado Trail has lost its first and most devoted advocate: Gudrun “Gudy” Gaskill, “Mother of the Colorado Trail,” died Thursday from complications related to a stroke she suffered last week. She was 89. Each year, an estimated 150 people complete the 500-mile trek from Denver to Durango over 13,000-foot peaks and through wildflower-spotted backcountry. Without Gaskill, friends and family said, the widely traversed trail wouldn’t be here today. A native of Palatine, Illinois, she attended college in Gunnison, where she met her husband, Dave Gaskill. They married, and in 1952, the pair joined the Colorado Mountain Club, and eventually Gudy Gaskill became the club’s first woman president. She lived in Golden. The Colorado Trail was conceived in 1973, and Gaskill spent the next 30 years taking the project from idea to reality as a builder and organizer of the trail. For her work, Gaskill was inducted into the Colorado Women’s Hall of Fame in 2002 and received honors from former presidents Ronald Reagan and George Bush. An avid mountaineer, she summited each of Colorado’s Fourteeners, as well as explored peaks around the world as high as 23,000 feet. Bill Manning, executive director of the Colorado Trail Foundation since 2006, worked extensively with Gaskill since he began volunteering on the trail in 1994. In March 2015, Gaskill gave a talk about her life’s work at the Durango Arts Center, where she was asked if she had ever considered writing a book. Gaskill is survived by her husband, Dave; children, Robin, Steven, Craig and Polly; and eight grandchildren. Her family requests, in lieu of gifts to the family, that donations be made to the Colorado Trail Gudy Gaskill Endowment Fund to support trail maintenance. To donate, visit www.coloradotrail.org/contribute.html. A public memorial service at the Colorado Trail trailhead in Golden may be held in the coming months, but details are not final.